No need to travel to another galaxy for an adult beverage; Oga's Cantina inside Star Wars: Galaxy's Edge will serve spirited sips. No need to travel to another galaxy, or outside Disneyland Park, for an adult beverage; Oga's Cantina inside Star Wars: Galaxy's Edge will serve spirited sips. Like brave rebel spies attempting to determine where the First Order's secret schematics are hidden, "Star Wars" fans are poring over three words in the latest post on the Disney Parks Blog. And those words are "libations for adults." 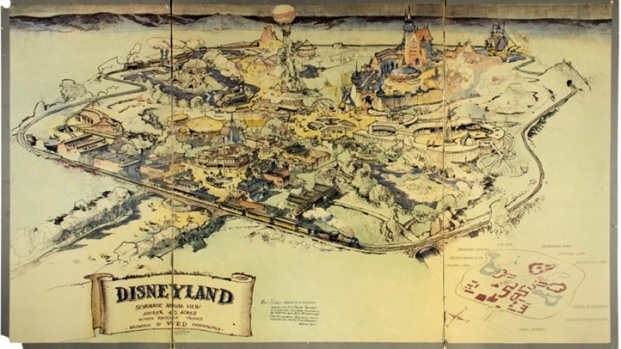 And the location where "libations for adults" will be served, at the Happiest Place on Earth? 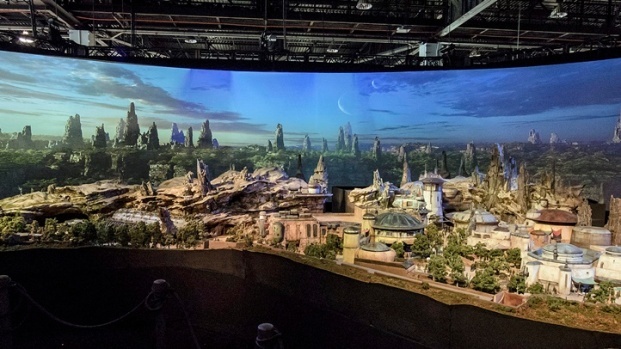 Inside Oga's Cantina, inside Black Spire Outpost, inside Star Wars: Galaxy's Edge, inside, yes, Disneyland Park, which is inside Anaheim, and not a galaxy far, far away. 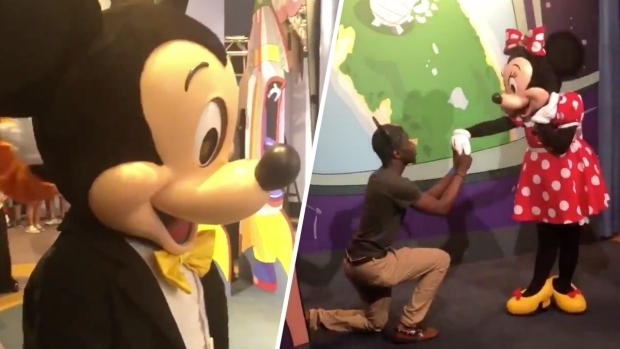 One Disney World attendee had Mickey Mouse seeing red when Minnie Mouse pretended to accept a stranger's proposal during an Epcot character meet and greet. 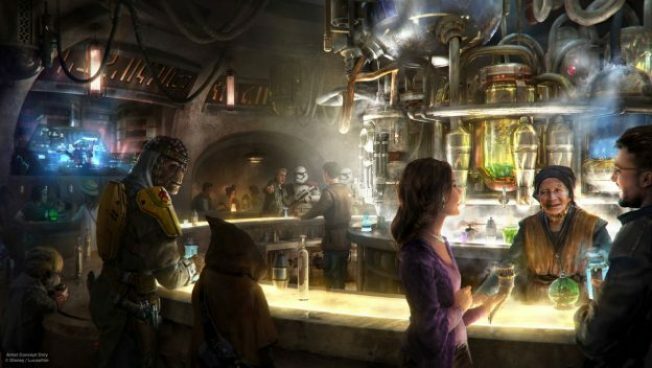 The cantina element of the big reveal is full of fantasy and quirk, with accompanying artwork that speaks to a space-tastic "sip 'n sup" space that fans can expect to visit when the "Star Wars"-inspired land opens in summer 2019. And the "libations for adults" part of the announcement, which was posted on the Disney Parks Blog on Thursday, Aug. 30, has fans chattering: Will this be the place to purchase a spirited drink, one made with alcohol, inside Disneyland Park? Disneyland officials confirm that hunches are correct: You will be able to buy a grown-up beverage inside the world's best-known theme park, finally. Well that "finally" is a bit soft, as alcohol is already served at Club 33 in New Orleans Square, a private club open to members and their guests. And Disney California Adventure's Wine Country Trattoria is known for its nice vinos, while, over at Pacific Wharf, a brew buff can find a line-up of sophisticated suds. Whatever you choose to quaff at Oga's Cantina, you can do so while listening to the musical stylings of RX-24, "... the former StarSpeeder 3000 pilot droid we first met in Star Tours, who has re-envisioned himself as the cantina's DJ." Questions, intrigue, and mystery will continue to swirl around Oga's Cantina, like planets orbit a double sun. After all, the establishment overseen by Oga Garra, an "intriguing alien prospector," already boasts a reputation as a "... smugglers' safe haven and a popular stopping point for those seeking to avoid the authorities." Will the "unique vessels" that will hold the libations at the "notorious local watering hole" pay homage to the Cantina scene of "Star Wars IV: A New Hope"? Will you spy patrons inside Oga's who look as though they've just rocketed in from Mos Eisley? And will any of the drinks pay tribute to the blue Bantha milk from Tatooine, and the other sippables made famous in the film series? Best go practice your light saber moves and wait it out, for there are more delicious reveals from Oga's Cantina, and the Happiest Place in the Solar System, still to roll out over the several months.